Photonic Doppler Velocimetry, allows accurate velocity measurement of materials subjected to shock events. Initially developed to better understand the high energy physics related to explosive events, PDV analysis continues to evolve, with tremendous potential to advance research related to dynamic compression and shock physics. The events that are analyzed with a PDV system are generally a “single shot” event. 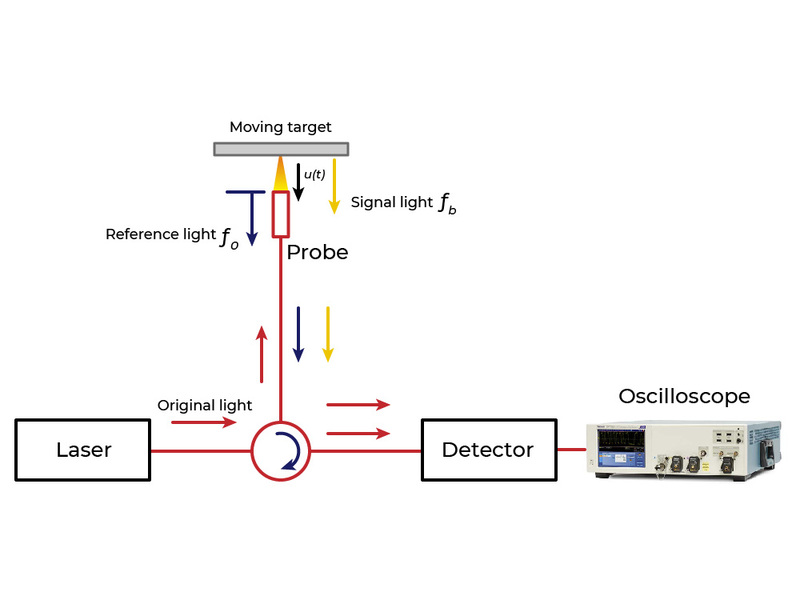 Often many laser channels are acquired, as well as other sensor types, to fully understand the response of the experiment. High signal fidelity acquisition on low amplitude signals is critical to the quality of the experiment results. With PDV experiments potentially being very expensive, sometimes exceeding millions of dollars for a single shot, a highly reliable signal acquisition system with outstanding signal fidelity is a paramount concern. Tektronix has a long history of providing excellent signal fidelity on single-shot acquisitions, with sample rate and bandwidth necessary to properly represent the sensed event. Performance you can count on. The Tektronix DPO7OE products provide a calibrated O/E that is an ideal detector to use in front of the DPO70000SX or DPO70000DX oscilloscope performing the digitizer function. 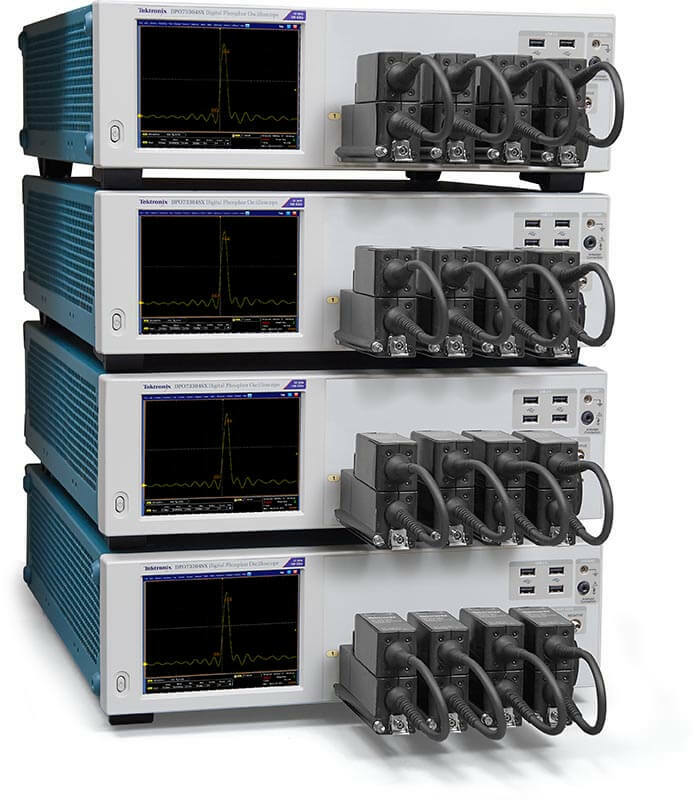 This combination provides high channel count options, extremely accurate and stable acquisition timing, acquisition rates up to 200GS/s, bandwidths of 33GHz and 59GHz to support even the fastest gas gun experiments, and superior SNR (Signal Noise Ratio) to provide the best results in your high-speed event analysis. This photo was taken from an article titled "A view on the functioning mechanism of EBW detonators -part 2: bridgewire output" and is an example PDV trace for a bridgewire fired at all-fire voltage. (copyright E A Lee et al 2014 J. Phys. : Conf. Ser. 500 052024). Channel count on PDV systems continues to increase, as researchers attempt to learn more about each event. Multiplexed (MPDV) systems are now commonly used to pack more data into a single digitizer channel, and minimize space consumed by the digitizer system. 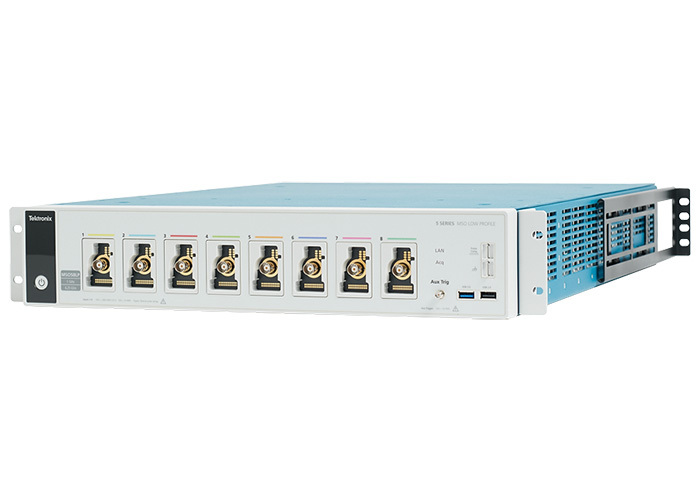 The Tektronix DPO70000SX units provide the same digitizer channel count, with bandwidths up to 70GHz, in approximately half the rack space (4U) compared to a conventional desktop oscilloscope. Monitoring the PDV system to validate a critical shot can require hundreds of sensors and precision acquisition hardware. The 5 Series MSO Low Profile oscilloscopes offer the next generation of high performance 12-bit digitizers. 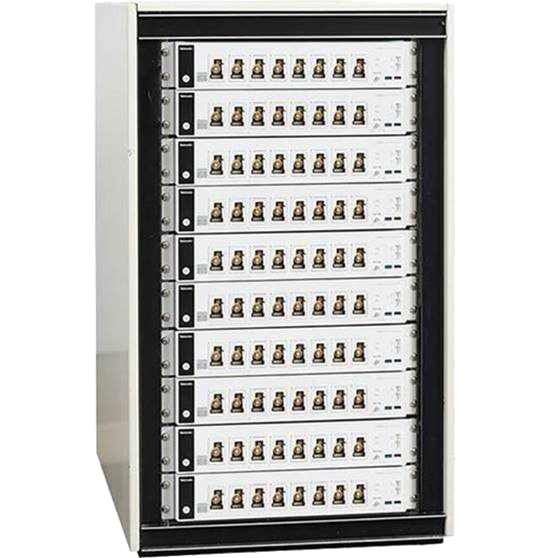 Providing high channel density in easy stackable rack mounts, one can achieve 100’s of synchronized channels all within 350ps. These 12-bit digitizers with an adjustable front end support down to 1mV/div hardware sensitivity and provide all the other perks of a standard high performance oscilloscope. Expand your PDV system diagnostic monitoring capability, while saving lab space and your budget. In applications that demand extreme channel density, the 5 Series MSO Low Profile oscilloscope offers 8 channels, plus auxiliary trigger input, in a space-saving 2U rack instrument – at low cost-per-channel. Each FlexChannel provides 1 GHz, 6.25GS/s with 12-bits of resolution and sets a new standard for high density performance.